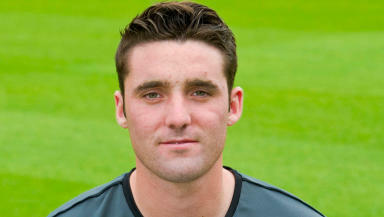 Partick Thistle have had to rely heavily on the goals of Kris Doolan since their promotion to the Scottish Premiership, but the striker may receive some backup in 2014 from the club's hottest young prospect. 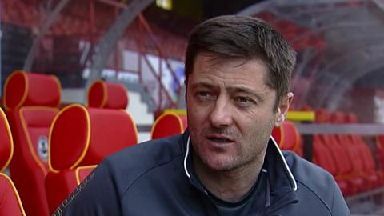 Chris Duggan was one of a host of players recruited by the Jags in the summer, with the club effectively building an Under-20s side from scratch. The striker has since been in scintillating form for Scott McKenzie's side, reaching double figures before succumbing to a short-term injury which denied him a shot in the first team in 2013. Described as a raw talent by the coaching staff at Firhill who has progressed significantly since his arrival, his predatory instincts could be the difference as Thistle look to halt their slide down the league table. Scott McKenzie, Partick Thistle Under-20s coach: "He's got a big future in the game. He came in this season, he was over in America doing a scholarship. "He's related to one of the directors. He put his name forward and he came in pre-season. We liked what we saw and he's scored 12 or 13 goals this season for us. "I think he was sniffing about the first team squad before he picked up an injury. The gaffer said he was going to put him in. "He's been doing well in the games we are playing. If he keeps doing well, I'm sure the manager won't ignore him. "He's just a lethal goal scorer. He just seems to be in the right place at the right time. He needs to work on his all-round game but he's an honest lad and he knows that. "As soon as the ball goes in the box, he normally puts it away." 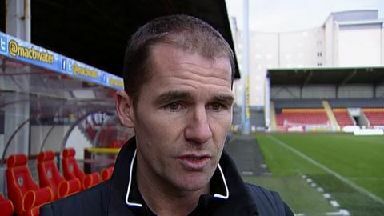 Alan Archibald, Partick Thistle manager: "Hopefully he has a big [future], especially at this club. We didn't have any Under-20s, or maybe four or five from last year. The Scotland Under-20s coach brought some in, held open trials and he stood out. "He has excelled in the Under-20s league. He has scored a barrow-load of goals. He probably could have had more. He's one of those players who has got a natural eye for goal." You can follow Chris on Twitter @ChrisDuggan94.